Notice: See buyer complaints at http://www.scam.com/showthread.php?t=222031 although there are more if you search for them. Also see the detailed review at https://www.roulettesystemreviews.com/forester-roulette-computer/ which explains more about false claims by this seller. 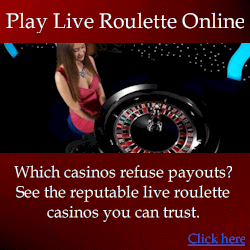 It also has a lot of detail about his other roulette computers, and test results from casino consultants. Anyone who’s properly tested these devices conclude they don’t beat modern wheels in good condition. This is another electronic device designed to predict roulette spins. Its creator is known as “Forester”, and he mirrors his own roulette reviews site giving himself top reviews while unjustly discrediting his competition. Having a review site would be fine, provided he told the truth, but he doesn’t. Nevetheless, I’ll focus on his actual device (FFZ model). Despite Forester’s claims, this device is extremely simplistic, and anyone can build one for about $25 with off the shelf components. The algorithms are extremely basic despite his claims they are highly sophisticated. If you were to do the same without this device, you’d basically observe a point in the spin when the ball is at the same speed. This is simple visual ballistics. One of the device’s problems is it incorrectly assume a wheel is either heavily tilted (very rare), or perfectly level (never). Most wheels are in fact semi-tilted meaning they’re somewhere between level and tilted – in other words most wheels are either too tilted to be considered level, or not tilted enough to be considered tilted. To know where to bet, you click a button until the device gives you a painful electric zap (that is also very easy for casinos to detect). When you receive the zap, you then observe which number on the wheel is under the fast moving ball – call this the “first number”. Determining the “first number” alone is almost impossible to do with any kind of accuracy because the ball moves way too quickly (AND the wheel spins the opposite direction so the “relative” speed is much greater), plus half the time you’ll receive the zap when you can’t even see the ball. Bare in mind you almost never see the whole wheel in real casino conditions – usually you can only see about half. But even IF the ball is visible at the time of the zap, and even IF you can see the number under the ball, the “first number” is not even where you bet. To know where to actually bet, you need to find a “second number” which is a certain angle from the “first number” (the second number is where you actually bet). To find the angle, you need to test about 30 spins and take visible notes, further increasing unwanted attention from casino staff. And on every spin, you need to apply the angle from the first number to find the second number. So even if you can actually see the ball when you get the zap, and even if can accurately determine which number it was (the “first number”), chances are you wont even be able to see the actual prediction (second number) which may be on the other side of the wheel. This among other reasons makes Forester’s device unworkable in real casino conditions. Even Forester himself admits his device is very difficult to apply. But what he doesn’t say is no amount of practice will fix his device’s problems, as you only find out for yourself after purchasing. Shown right is the very best view you can realistically have of a wheel, and this is standing right in front of the wheel, not at the betting table where you need to be. The blue line shows where the ball is actually in view. Now consider that your view is even worse when standing at the betting table. Furthermore, consider you lose a further 25% of spins because you can’t actually see the second number. This leaves you with only a possibility of knowing where to bet on just 1/4 of spins. And this is not even considering the fact that the ball is moving far too quickly to know which number was beneath it when the zap occurred. These are simple and obvious facts. A recent version of this device uses multiple zaps just in case you couldn’t see the prediction, but often you are left waiting for the wheel to come around so you can see the prediction. This wastes valuable time, although Forester claims the point of the zap is to get predictions earlier. His claim is nonsense because using zaps wastes time, when it’s much better for a computer to simply speak the prediction. If there was no problem with using zaps, he wouldn’t have modified it by adding multiple zaps. But this is just a poor patch to fix a problem that shouldn’t exist in the first place. Is the difficulty of application something that’s overcome with simple practice? No, the problem is the device’s design. Forester also claims that he uses the electric zap instead of the computer actually telling you a number because it’s most accurate. I find this an absolutely absurd and dubious claim as his prediction process cannot possibly compare to the computer simply telling the actual predicted number. Despite his claims, at the time of writing this, Forester appears to be developing his technology so audio predictions are given, which will fix part of his device’s problems. * Severe impracticality: it is almost impossible to apply at home in controlled conditions, and certainly far from practical in real casino conditions. * No multiple player support: To avoid detection, roulette computer players need to play as teams to draw attention away from the winner. Forester’s device has no multi-player support whatsoever. 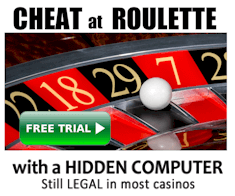 Even if you could use his device in real casinos, you will most certainly be caught. * Frequently fails to produce predictions: often on over 50% of spins, the devices fails to give any prediction at all. This has also been found by another independent tester who said, “The device can be very frustrating; one day we were lucky to get one prediction per five or six spins, the next day we were getting seven or eight out of ten and the third day same as the first.” This fault is indicative of simplistic algorithms. * Random accuracy on modern wheels in good condition: you wont achieve an edge even if you can overcome the other issues. See roulette computer comparison and details of many of this device’s faults. Basically the tester is saying the FFZ device can beat a basic and easily beaten wheel. But the “zap” is needlessly difficult to use, and there are other computers that do the same job without being impossible to apply. Although Mr. Barnett said himself he would benefit by being able to report to casinos that Forester’s device was a real threat, he made it very clear he believed the device was not at all a threat. I agree with Mr. Barnett’s findings. However, Forester absurdly claims the casinos have said they consider it to be their only threat. So Forester is claiming the exact opposite of the truth to sell his product. He also falsely claims that my review here is a “dishonest scam”. I understand he’s trying to protect his business, but anyone who has properly tested Forester’s devices concludes it is not effective in real casino conditions. And anyone who properly researches Forester’s claims will probably conclude he’s running a clever scam, and has no problem unjustly attacking anyone who threatens his income. VERDICT: If you are going to risk application of a potentially illegal device, the results you achieve should be worthwhile. Despite this device being more affordable than most, you don’t get much for your money. The device’s zap feature makes application completely impractical. There is no multi-player support. The algorithms are incomplete and ineffective on modern “level” wheels. There are too many problems with this device to mention – it is at best a theoretical device, not something that can realistically beat roulette in real casino conditions. It is the same conclusion reached by other professional testers. Although Forester is actively trying to improve his device, at present it is poor technology with manipulative sales material. Forester has made countless claims to discredit Mr. Barnett and other roulette computer developers including myself. He has twisted the comments of Mr Barnett to make his review seem more positive. But the clear conclusion by Mr Barnett is that this device (and the FFA device he tested later) is not capable of beating modern roulette wheels. Keep in mind Mr Barnett makes his living by convincing casinos of the threat of roulette computers, and even he couldn’t state this device beat modern wheels. He specifically stated the end results on modern wheels was close to random accuracy. I have this computer. Dont anyone waste your money. This review is 100% accurate. Well written, good work. The seller claims my review is all lies. He’s just protecting his business without regard for truth. The seller (forester) now calls me nasty names and published rubbish about me and my technology. Is my review a lie? Well, even an independent tester hired from casinos did testing. This is a man who would profit more by telling the casinos the device is a threat. And he flat told the casinos it is not a serious threat at all. This tester’s review was virtually the same as mine. The seller (forester) greatly exaggerated the tester’s positive comments and hid the negative comments. He basically lies telling people the casinos found it a huge threat when it was the complete opposite. In the tester’s exact words, he said “Time will tell if there is a viable threat to modern well-maintained roulette wheels but at this stage the FF device is not it.”. And this was actually in reference to the seller’s better device called the FFA. The comments about the FFZ device were even worse. He mostly never got predictions, and he said “When the device did produce predictions, the results were close to random.” Forester’s version of this is “they said my device was deadly accurate”. Its not hard to figure out he’s just a seller protecting his business. I too wanted to purchase this device at some point, but too many negative reviews and the fact that I would not be able to use it in UK casinos helped me to decide not to go with the purchase. What I’m wondering now is whether the software called “RouletteZAP” (familiar name isn’t it) is worth checking out. It sells online for $39 and there is option to pay with paypal so the purchase is (somehow) secure. Anybody had any experience with roulettezap?? Hi, I am investigating these roulette computers from Forester and he is saying the reviews here are all lies from a scammer. I did more research and eventually found the information published by Mike Barnett who apparently did testing of this device too and it looks like the statements in the review are accurate. I only started getting interested in these again recently but about a year ago I asked Forester about bad reviews and he just sent me links to attack his competitors. I didnt even mention them and found this odd because I was asking about Mike Barnett’s testing and he didnt even answer my question about if the quotes here from him are true. Needless to say I now know Forester is the liar here and wont be buying his computer. I’d just like to share here that anyone interested should read about Mike Barnett’s testing and what he said. Fair enough if one competitor reviews another and I know not to listen because of potential bias, but the information from Barnett has no reason to be biased and it says the computer doesnt work with today’s wheels.